It’s really not unusual at all to come across a three- or four-piece classical music act performing on the streets in Europe. It is not unusual at all never to see that in the United States. In fact, while I’ve spent maybe a total of three or four months in Europe and 396 months in the United States, I’ve never seen it in the USA and have seen it at least a dozen times in Europe. (Don’t get me wrong, I have seen plenty of street musicians in the USA – in subways, on street corners, etc. – just never a high-level classical act performing on the sidewalk.) I have come upon a full orchestra in a church in Bruges, a three-piece in Cesky Krumlov, a four-piece in Nuremberg near the DDR museum, a four-piece band today in the breezeway at the Riijksmuseum, and many others. What strikes me every time is this: tourists gather – myself included – and we stand there, listening. We applaud at the appropriate time. We put euro-coins in the players’ baskets or violin cases. We block sidewalk traffic and sometimes (I do my level best not to be this person or among these persons) the street traffic as well. Locals ding their bicycle bells, honk their car horns, and mutter under their breath. (Don’t get me wrong, local people – I know not every local person resents tourists stopping for music – but surely some do. )We Utahns have a term for tourists who stand open-mouthed in awe, as it’s something we see a lot of on our ski hills. We call them “gapers” – as in, the tourist is often found looking around in amazement, with eyes widened and mouth agape in wonder and amazement. 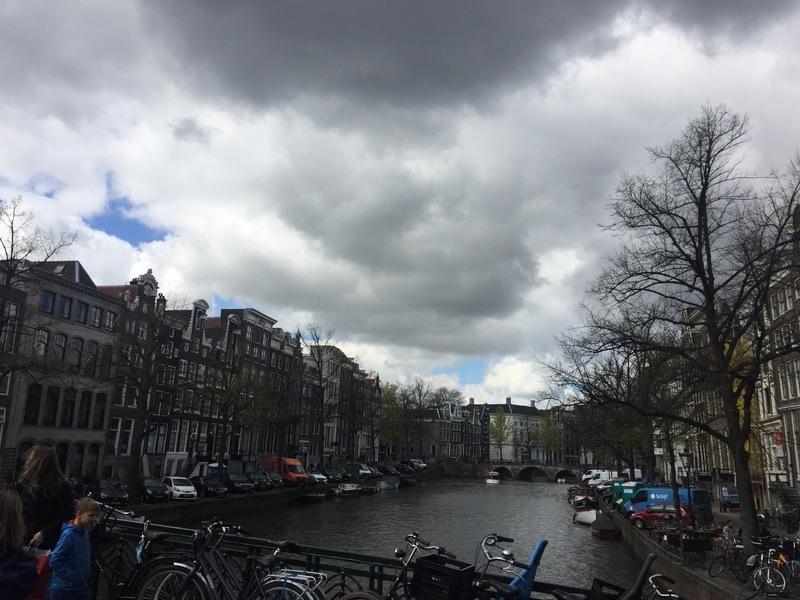 Many Utahns – many of our locals – look down upon the gapers, just as do many locals in Amsterdam, Berlin, or Prague. Many Utah residents are annoyed by the gapers blocking ski trail access with their photo ops and their stops for views over the 100-mile vistas with which we’re blessed. But I don’t resent them for the same reason many European locals don’t resent people stopping to listen to the music under the Riijksmuseum, as I did today. Many of us don’t resent people for gaping because we still get it: it is awe-inspiring. The music, even one person has heard that number a hundred times, is still moving. So are the Rocky Mountains. When I wander the streets in Europe – (and wandering is most often what I’m doing: I cover between 3 and 10 miles per day on foot, even when I’m injured) – I am certain that I look either like a confused homeless person or a bad photographer stopping at every street corner to take photos of boring (to you, maybe!) things like manhole covers (with an phone instead of a proper DSLR or SLR camera). And if there’s music, I will stop and gape every time. I give money. I take videos with my phone. I listen to it later. I usually get teary-eyed and am glad for my sunglasses. I hope I don’t become annoyed at gapers anytime soon – I might stop stopping to listen to the music. 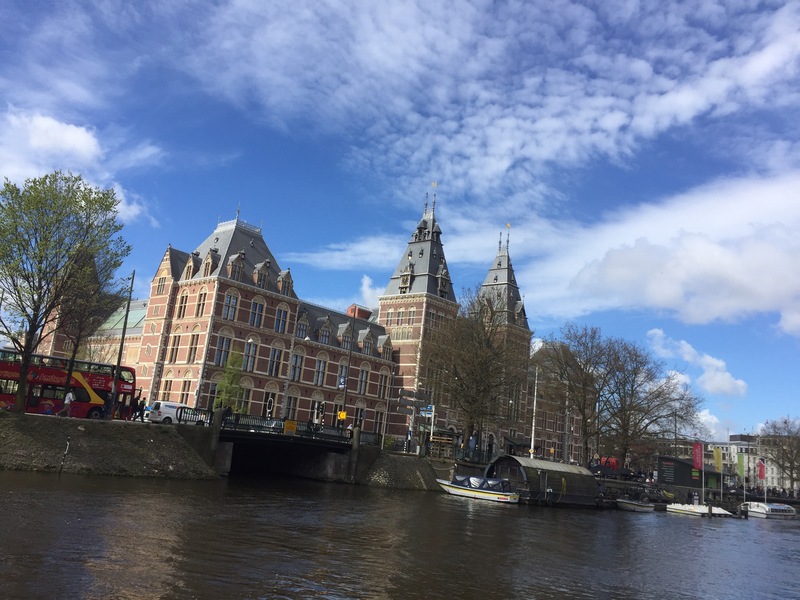 This entry was posted in Travelogue, Travelogue 2017, Travels and tagged Amsterdam, classical, gapers, music, Netherlands, rockies, street art, street performances, travel, traveling, utah, wander, wandering. Bookmark the permalink.